Family is the most important thing in my life and has always been. 2 years ago I lost the last of my parents, so I can technically say that I am an orphan. However, I have my own family and we have been creating traditions that hopefully will go forward for generations to come. Living in a state where it's just me, my husband and children, we've come to rely more on each other and have come to the realization that Family Is The Greatest Gift. While I was growing up, Christmas meant a lot to us as a family. My mum and dad would try to make our Christmas holidays as merry as possible, and in the Caribbean you didn't really need much. We were surrounded by family members so it was always a joyous occasion. My grandmother lived next door, and so did aunts and uncles, which meant lots of cousins. On most Caribbean islands, families usually stay together in the same neighborhood, so there is always that support when it's needed. When we migrated to the US, it was a bit different. Family was scattered everywhere so our celebration was a little different. We would call each other to connect during the holidays, and this is still something that we currently do. My brother lives in Canada, while most of my family are either in the UK or somewhere in the Caribbean. My husband's family are all in New York City, so for the past couple of years, every year, we have traveled to connect during the holidays. We've gone back to New York City, Canada and even the Caribbean, but this year will be a tad different. Now that my parents are no longer with us, I've decided that I want to start a few new traditions with just my little family. Here in Colorado, it's just me, my husband and our four children, Kristal, Kyle, Mikael and Madison. I want to do things together with them that shows that family is everything, especially when they're all that you have. 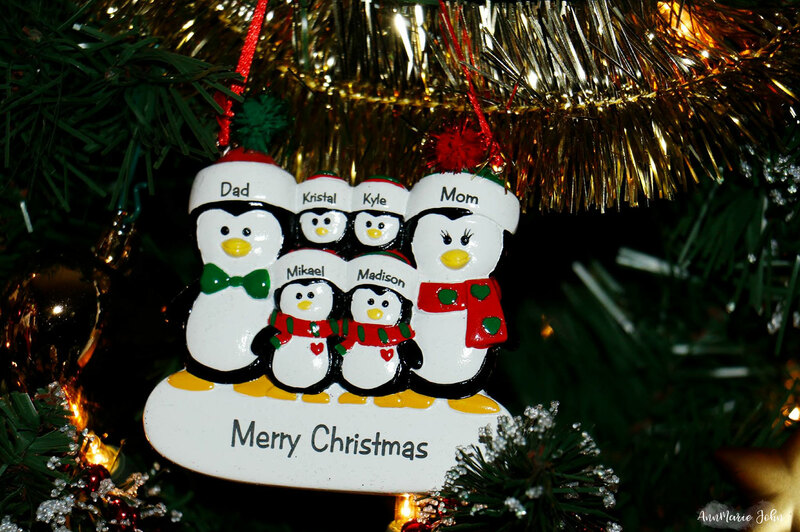 So how can you create your own family traditions? Here are three easy things you can do. The holidays isn't the same without the smells of ham, turkey or even a casserole baking in the oven. Give each family member something that they can do and may even look forward to. Even the youngest can join in by mixing the ingredients together. My son Kyle likes to make banana pudding, while Kristal loves making cheesecakes, so for the holidays we will all be in the kitchen cooking together. With my eldest away at college, we wait until she gets home so that we can all decorate the tree together. Make it a holiday tradition that your family anticipates doing every year. 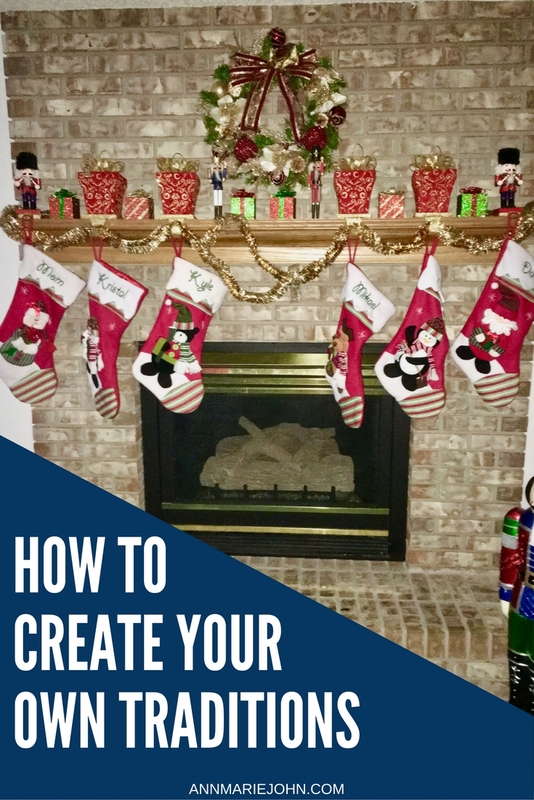 You can even make homemade decorations that you can hang on the tree each year. We haven't done this as yet, but this is one thing that we plan on doing yearly. Make it something that they yearn to do while creating unforgettable memories. 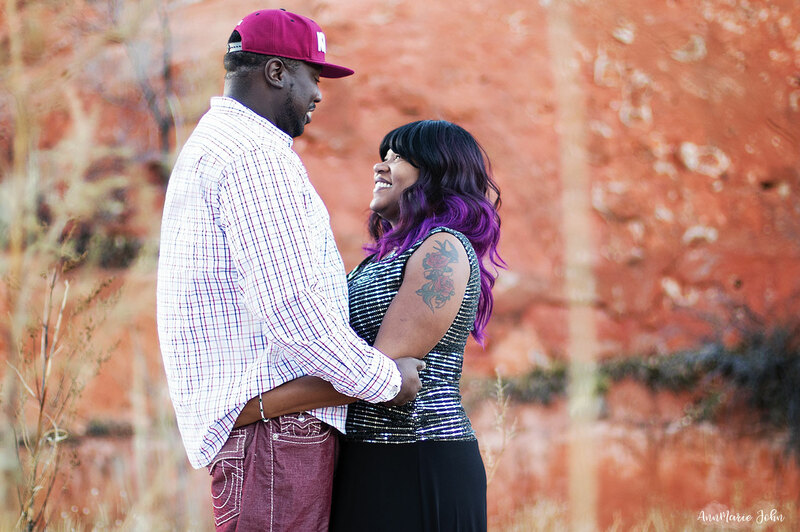 When you look back on all the holidays that you've celebrated together throughout the years, it will be sure to bring forth many smiles to your face. Like myself, T.J.Maxx, Marshalls and HomeGoods appreciates the fact that family is the greatest gift, and to celebrate that fact, they're hosting the Gift My Gathering contest* to inspire everyone to connect and celebrate what truly matters the most – each other! This holiday season, they will make it possible for five families across the U.S to come together and celebrate at a holiday gathering. Families that wouldn't have been able to do so prior, or families that haven't seen each other in quite some time. How amazing is that? From now through November 28, 2017, you can visit giftmygathering.com and share how they can help you gather with the people that matters most in your life this holiday season. And to make it even more special, T.J.Maxx, Marshalls and HomeGoods have teamed up with Carla Hall so she can share her tips and tricks to make your holiday gathering even more enjoyable. What traditions will you create this year? *No purchase necessary. Void where prohibited. Gift My Gathering is sponsored by The TJX Companies, Inc. Open to legal residents of the 50 U.S., D.C. and Puerto Rico, 18 & older. Begins 8:00 a.m. ET on 11/13/17 & ends 11:59 p.m. ET on 11/28/17. For official rules, visit giftmygathering.com. We have lots of traditions, but since this is the first year without my mom I am not really feeling Christmas. I am trying hard to get in the spirit for my kids sakes. I love all of these ideas, especially since we do them all! Trimming the tree if one of our favorite holiday traditions. We love to go to Candy Cane Lane every year too. It's about 15 blocks of lit-up decorated houses in our city. We drive through with hot drinks and cookies while listening to Christmas Carols. Christmas morning has it's whole set of traditions too (like a Mandarin orange in our stockings and quiche for breakfast with a frosty glass of whipped orange juice). Our tradition during Christmas has been the same from 4 generations back. We make our Christmas ham and fruit cake, fill a wicker basket with different fruits, and attend mass on Christmas Eve. On Christmas day, we all meet up (the whole clan) at my cousin's house and partake in a bountiful Christmas lunch. I started a tradition with my son 17 years ago where we bake cookies together every Christmas Eve. It's his favorite thing to do. When he was born he would sit in his high chair while I cooked and as he got older he lend a helping hand. Traditions are a very important part of any family. These are great ideas for adding more traditions. We have several traditions...driving around on Christmas Eve to look at Christmas lights, having a big breakfast casserole Christmas morning, and lot's more. Such a good reminder and really thanks for sharing. I would love to start the tradition of taking pictures. Its been on my mind, but i am never the one to be in front of a camera. I really do want to start cherishing our time as the little ones grow up. So yes, this year we will start this as a tradition. I love when we can all get together and do some baking as a family. I still have a lot to do to prepare for the holidays! 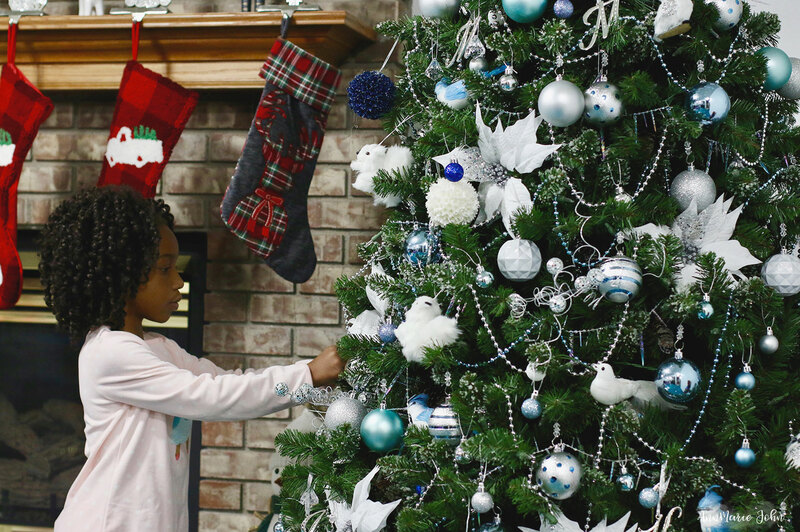 These are great ideas to enhance the holiday spirit and connect with the family. Most of the holiday focuses around eating so getting together and cooking the meal together is a great tradition to start. We don't kids yet but since my partner and I have been together we buy baubles every year with the year and something special about it - we've been together for four christmases now and I love seeing that tree with the baubles we've collected along the way. We decorate the Christmas tree together and bake some cookies! I also make sure to take a picture of my son by the tree every year! All of these traditions we do together. I think it's important, and a fun way to share in memories. I am not sure what traditions I will create this year. We don't usually do a ton of things for Christmas, although we used to decorate with lights the whole house. Perhaps we can do that as a family this year! So many traditions to enjoy for Christmas! It would be nice to start new ones with the whole family. I think your ideas are awesome! We have a ton of holiday traditions that always are ones to look forward to during the holidays! On Christmas morning we have cinnamon rolls and mimosas after opening gifts ;) Haha! We have a list of holiday movies that we like to watch together. We'll also bake cookies for the extended family, friends and neighbors (all while listening to Christmas music, of course). I hope my girls carry these traditions on with their families some day as well. We moved about 2 years ago, and we don't have family near us so we too have been relying on making our own traditions to make it special. We always decorate the year, but we need to start taking a yearly portrait especially now that we have kids. It is always fun to see how much they have grown. I love family traditions as they are such an important part of sharing and creating family memories.There are so many great traditions to do this time of the year. We decorated our tree together and put it up before Thanksgiving. It was a fun way to get into the holiday spirit. What a great post! We have so many family traditions that we do each year with our kiddies! One thing we've been doing as a family for five years straight now is taking the kids to our local nursery to help pick out our tree for Christmas and then decorate it. We also love sitting by the fire and making s'mores all through the winter. These suggestions are all great! I adore the holidays. I try to do all of my shopping early, so I can enjoy the season with my family. These are great ideas to add to our holiday fun. The holidays are such magical times. We do a different festive activity each day. From wearing red noses and singing Rudolph to drinking hot chocolate by the fire place, I love the memories we're making. We do all those traditions. However, we like to try something new every year and sometimes it results in a new tradition. I love these ideas! 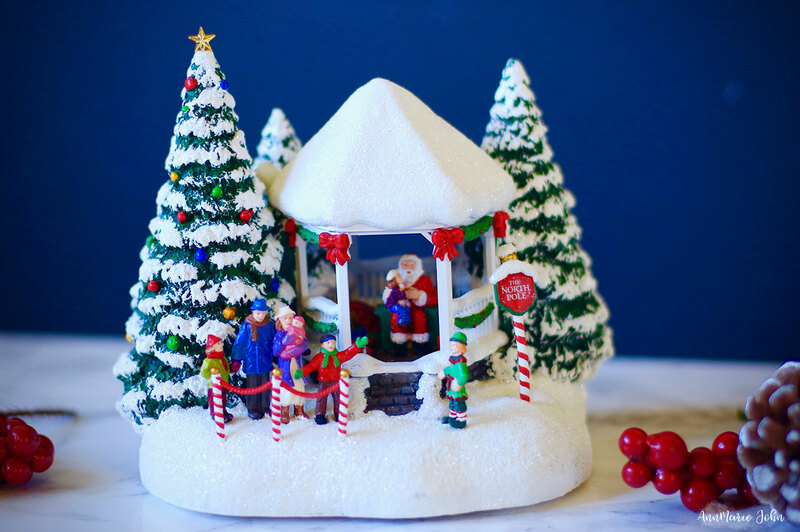 Christmas traditions are such a great way to spend the holidays with the family! This is my favorite time of the year because of all of the traditions and memories that are associated with them! Such a special time of the year! We are considering starting a tradition of traveling for Christmas. We are giving it a try this year, and we will see how it goes. Florida makes these traditions difficult. I miss living up North where we have the 3 seasons. This year is going to be a very different Christmas for us. We have reached the stage where the things we did growing up as huge extended families are coming to an end, and we are just spreading time out and seeing all of the immediate family. We are doing 4 days! I'm a firm believer in traditions for your family! It's what makes you stand out from other families! I love combining old and new traditions. It's fun to share what you did as a kid with your kids and start new traditions they can share with their kids. Doing things together is the most important part of creating holiday memories. We have traditions we started when our family became blended. One of them is that we top our tree with an old trumpet each year. I love starting new traditions for Christmas. It really is so much fun to create new and amazing traditions. We do all three of those and I look forward to each and every one every single holiday season! Pure magic! Whilst it’s nice to have old, long standing traditions, it’s also good to make new ones too! These are some great ones for you and your family. Great competition too! It is so wonderful to have family traditions at Christmas time! These are all such great ideas too!! Christmas holidays have always been so important to me. It was a huge deal in my family growing up and I want it to be for my kids too! It's important to create some holiday traditions with the family. I know I think back to all the things we did every year when it gets to be Christmas time. Stunning photos! I love the one of you two. And I love T.J.Maxx, HomeGoods and Marshalls! We have family scattered as well, and since we're both from blended families, the traditions are pretty amazing. Getting everyone together is the best part but it's not easy. Doing things as a family really makes you guys bond even more. Having your own family tradition that can be passed down for generations would be amazing. This is great! We have so many things we do during the holidays but I feel like we are lacking specific traditions. Every year is fun but we don't have any specific things we do each year. We're definitely starting some this year!! I love TJ Maxx and I shop there for almost every major holiday, they have so many great treasures. I love the idea of making family traditions. This year I started a gratitude tree and I hope it's something we do for years to come. Home Goods is my store!!! I can totally relate- since my parents are gone as well. Creating new traditions with your family is very important. We did that after our Grandma passed-- we took many of her family traditions and added a few of our own!